How to Get There: Distant from Rome approx. 250 km. A1 to Napoli-A 45 toward Salerno Reggio di Calabria. By car: highway A3 westbound, exit Ercolano or Torre del Greco. Freeway SS 268 leads to the eastern and northern sides, which can also be reached through highway A16. By train: from Napoli, take the Circumvesuviana rail. By bus: take the Ercolano-Stazione Vesuvio line. ATAN city lines connect the city with some Vesuvian centres. In Brief: the Vesuvio National Park features info-points, faunal areas, museums, etc. (17 overall); four are accessible to visitors with mobility limitations such as elderly people, children and people with disabilities, another two nature trails, are in progress. Itineraries: The crater of the Vesuvius can almost be reached by car: this does not take away from the fact that there are many tracks for hikers to enjoy the area's natural beauty. Some itineraries go through the Natural Tirone Reserve-Alto Vesuvio, which, however, is not open to the public (in order to visit the Reserve, a permit from the Caserta forestry department is needed). There are some organizations that might be useful in undertaking a visit to the volcano such as the Naples CAI (hiking club); the San Giorgio a Cremano tour guides group named Quaderni Vesuviani and the Alpine Guides of Campania in Herculaneum. 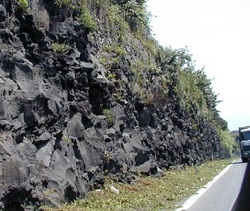 Sights of lava flows from different years: 1872, 1831, and 1794, can be seen passing from the Naples-Salerno freeway and between Portici and Torre Annunziata; the lavas of 1944 and 1958 can be seen from the Herculaneum-Vesuvius road. Park Outline: The Vesuvio National Park was instituted in 1995 and is unfortunately situated in an area widely compromised by invasive and illegally constructed roads and building in the towns that surround Vesuvius. The Park will allow improved protection of the volcano and the land around it, in accordance with environmental recovery policies and the positive development of ecotourism. The National Park protects the worldwide famous volcano and the immediate surroundings of Naples and Sorrento. Of the active volcanoes in Europe, Vesuvius is the only one not located on an Island; it has erupted many times over the past centuries but a few of the eruptions are historical. 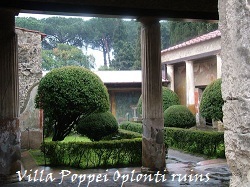 The most famous of all occurred in 79 A.D. and destroyed Herculaneum and Pompeii. A second notorious eruption in 1631 lasted for several days and claimed the lives of 4,000 people and 6,000 animals. 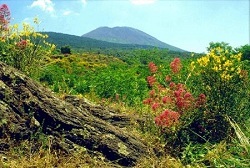 Despite its danger, the surroundings of Vesuvius have always been densely inhabited, given that the ash makes particularly fertile the land. The last eruption in 1944 resulted in a change in the crater with the elliptic basin more than 200 meters deep. It seems that its present double peaked aspect goes back to 79 A.D.
Wildlife: Eruptions of the volcano have from time to time destroyed vegetation on the mountain. However, with each cooling of the land there has been a corresponding attempt for plant life to recolonize. Forest vegetation is scarce, yet there are conifer reforestations and fragments of Mediterranean maquis. Surprising little spots of Silver birch trees represent a botanical particularity in the Valle del Gigante on the Atrio del Cavallo and San Anastasia. On the Monte Somma Neapolitan maples and Downy oaks are present. On the oldest lava substrata are present populations of different species of Broom. The Tirone Alto-Vesuvio Natural Reserve was instituted in 1972 and stretches across the entire crater to protect Maritime and Aleppo's pines plantations that now are succeeded by Holm oak, a tree adapted to the climate. Animal life is not extremely varied. There are many small mammals on Mt. Somma such as the Hazel dormouse, the Dormouse and the Garden dormouse. Foxes, Weasels, and Steenmartens make up the predator group. 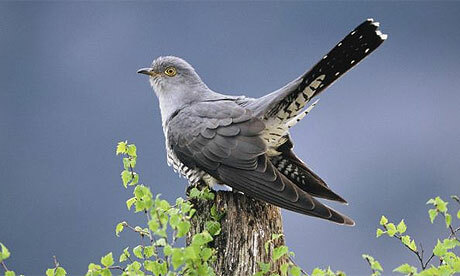 The Somma peak is along a migratory route from Africa toward reproductive areas of Europe, consequently many species of bird such as the Buzzard, the Cuckoo, the Nightjar and the Golden oriole; non migratory birds are the Barn owl and a colony of Ravens on the peak of Vesuvius. 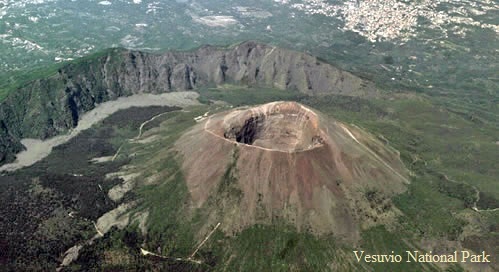 History and Culture: The area of the Vesuvius National Park is limited to the volcanic cone, but the influence of volcanic activity throughout history and its deeply rooted image make it almost impossible to separate Vesuvius from the significant cultural sites around it beginning with the archaeological ones such as the UNESCO patrimony, that of Pompeii and Herculaneum, and the lesser known areas of Oplonti in Torre Annunziata. Inside the Park, the Vesuvius observatory is well worth visiting. 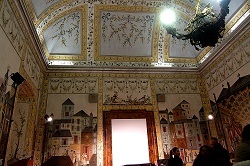 It was built in 1848 by Ferdinando II and was recently restored to include a Museum and library. Unfortunately, construction over much of the volcanic area and surroundings have destroyed the traditional image of the fertile rural landscape spoken of by travellers and residents for decades. However, the splendour of the enchanting views remains intact between Vesuvius and the Gulf of Naples. 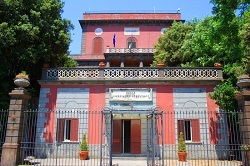 Outside the Park, in the Vesuvian area, there is the majestic Reggia di Portici build in the XIII century by the architect Luigi Vanvitelli on commission of Carlo di Borbone (at present is the University Agricultural faculty building) . Historically neapolitan nobles built splendid villas along the main road towards the court called the Golden Mile; when the court moved, the villas were abandoned and damaged, losing much of their splendid garden space and giving way to modern urbanization. 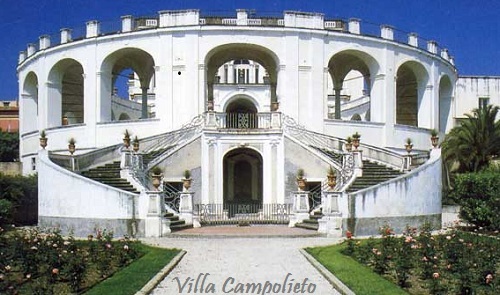 Some of these villas have since been restored, such as the Villa Campolieto. 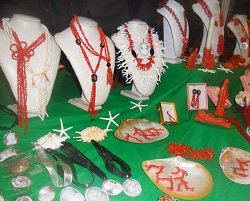 The Naples area is famous for the crafting of nativity scenes using wire, string, silk, etc. The jewellers district of Naples is also famous, recalling the days of Spanish goldsmiths that emigrated in the 1600s. Coral is also crafted in Naples in a tradition dating back to the Roman era (the British museum houses the statue of Giove Serapide sculpted here, the oldest coral piece of sculpted art in the world).